Outdoor Fireplace. 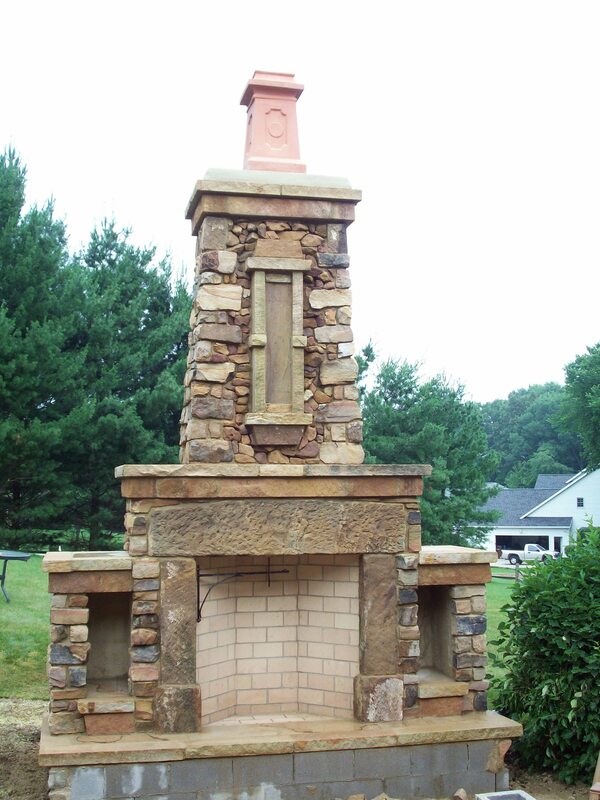 | Yoder Masonry, Inc.
Four foot Rumford Fireplace in Green, Ohio. Materials: Maryland split stone, Briar Hill split sandstone, and barnstone fireplace surround.